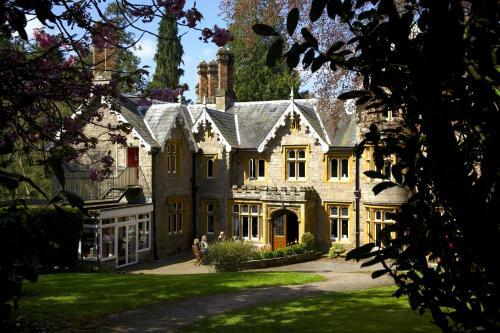 Ty Bryn Bed & Breakfast, Llandogo, Monmouthshire hotels with instant confirmed online booking. We have Hotels throughout Monmouthshire , Wales . Accommodation near all the attractions, places to see and things to do.......You are able to make an instant secure confirmed online booking. We also offer information on Airports, and travel and tourist information. A 4-star bed and breakfast elevated on a hill above the River Wye, Ty Bryn is set in historic Llandogo and offers stunning views of the Wye Valley. Ty Bryn Bed & Breakfast serves home-cooked food. Guests can enjoy a slice of home-baked cake and a cup of tea on the garden terrace or in the sitting room with a wood burning stove. Two rooms have far-reaching views up the river valley, while the third has a peaceful garden aspect. Each room has an en suite shower room with toiletries and fluffy towels. Fresh flowers, free WiFi, a flat-screen TV, tea/coffee making facilities, and mineral water are also provided. A 15-minute drive from Tintern and the Forest of Dean, Ty Bryn is also 30 minutes away from Ross on Wye by car. There is free parking at the property and many walking paths around. Please note that early check-in is not available at this property.